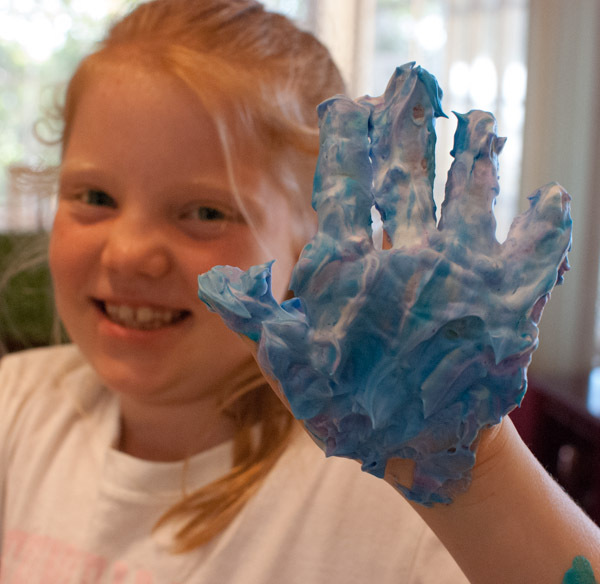 Do your kids love mess? 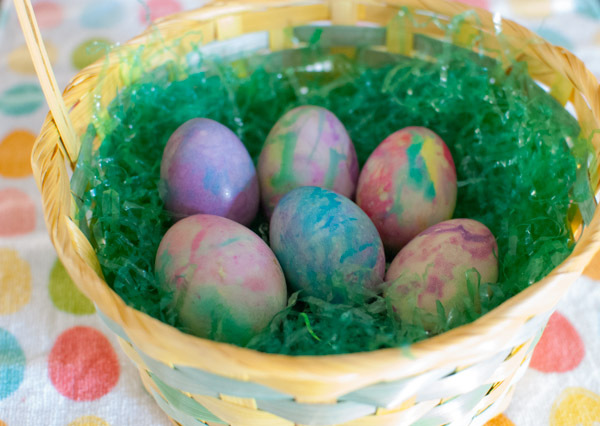 If so, they are sure to love this unconventional way to color Easter eggs using shaving cream and food coloring. Hard boil the eggs and let them cool. 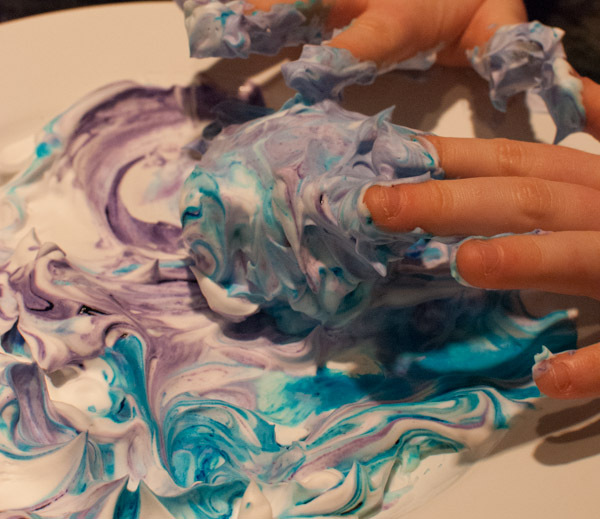 Let your child squirt shaving cream onto a plate. 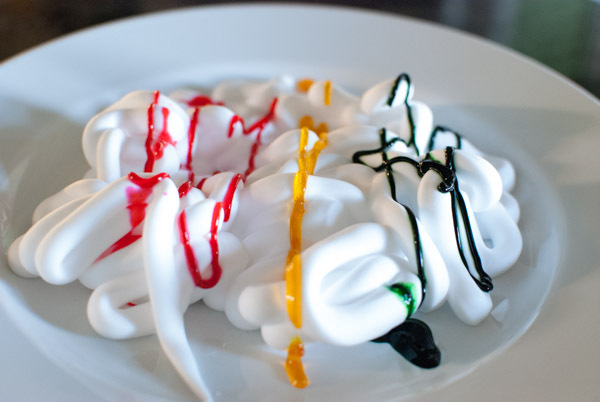 Have your child drizzle a couple of colors of gel food coloring onto the shaving cream. 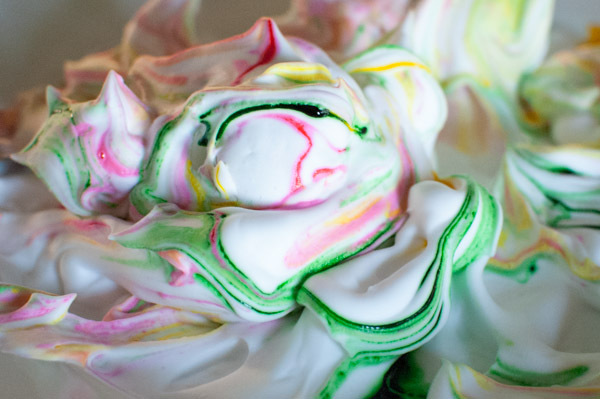 They can spread the colors slightly by dragging a spoon through the shaving cream. Not too much, though, or the colors will blend. You want the colors to be separate. Now for the fun part. Have your child roll the egg through the shaving cream. Let the egg sit in the mixture for several minutes. We had ours sit for about 15 minutes. The color will set on the egg. 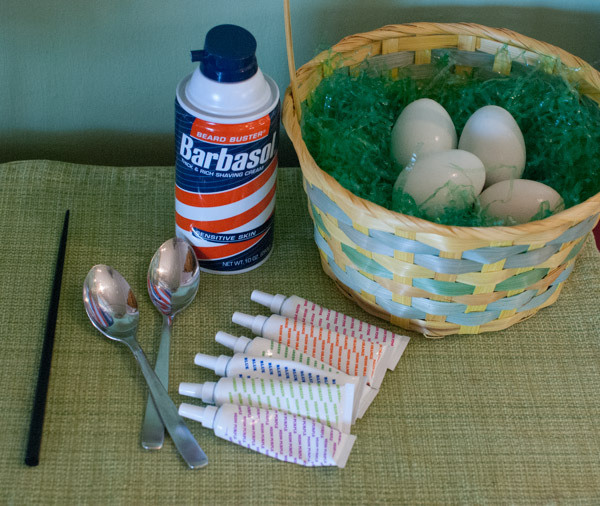 I didn’t know if the shaving cream would affect the taste or safety of the egg so we just used these for decoration. 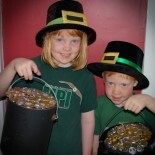 Some food coloring can stain so consider having your child wear an apron or smock. Most of our chicken lay brown eggs so we are always looking for fun ways to color them. This one did not work well on the darker eggs. Luckily we have a few chickens that lay blue eggs! Put the eggs in a single layer in a saucepan, covered by at least an inch or two of cold water. Starting with cold water and gently bringing the eggs to a boil will help keep them from cracking. Put the burner on high and bring the eggs to a boil. As soon as the water starts to boil, remove the pan from the heat for a few seconds. Reduce the heat to low, return the pan to the burner. Let simmer for one minute. After a minute, remove the pan from the heat, cover, and let sit for 12 minutes. Remove the eggs with a slotted spoon and place them into a bowl of ice water. Once cooled, strain the water from the eggs. Store the eggs in a covered container (eggs can release odors) in the refrigerator. They should be eaten within 5 days. This entry was posted on March 22, 2013 by mdaucello in Crafts, Easter and tagged Crafts, decorate, Easter, eggs, shaving cream.